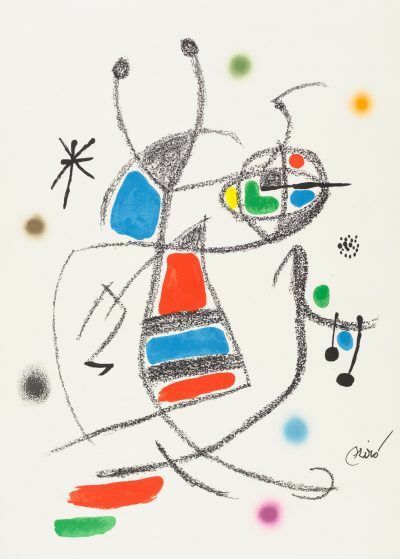 An original hand-signed Joan Miró etching, aquatint & carborundum print. Original etching, aquatint and carborundum printed in colors on Arches wove paper. A superb proof impression of the definitive state, apart from the numbered edition of 75, annotated “H.C.” in pencil lower left (one of a few such proofs reserved for the artist and his collaborators). Published by Maeght Éditeur, Paris; printed by Morsang, Paris.